Description: Looking for a good swing gate motor in Sydney? Look no further! Check out our collection and pick the right one for you. Click here for details. Low-voltage (12V) electro-mechanical operator for residential swing-leaf gates with single-leaf length of 1.8 m and max. weight of 250 Kg. Electro-mechanical operator with articulated arm for residential swing-leaf gates with single-leaf length of 1.8 m (3 m with electric lock) and for bi-folding doors with single panel max. width of 1.5. 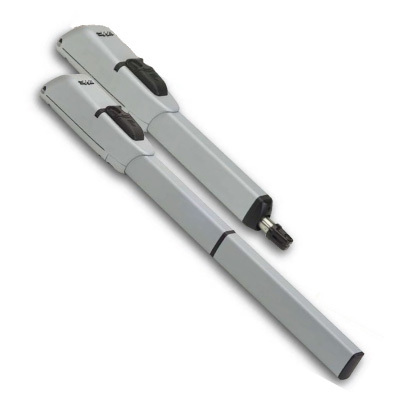 Low-voltage electro-mechanical operator with articulated arm for residential swing-leaf gates with single-leaf length of 1.8 m (3 m with electric lock) and for bi-folding doors with single panel. Low-voltage electro-mechanical operator with articulated arm for residential swing-leaf gates with single-leaf max. length of 2 m. (3 m with electric lock). Built-in mechanical stops. Electro-mechanical operator for swing-leaf gates with single-leaf max. length of 2 m (3 m with electric lock). Built-in mechanical stops. Low-voltage electro-mechanical operator for swing-leaf gates with single-leaf max. length of 2 m (3 m with electric lock). Built-in mechanical stops. Electro-mechanical operator for swing-leaf gates with single-leaf max. length of 3 m (415) and 4 m (415 L). Available with or without Limit Switches. Low-voltage electro-mechanical operator for swing-leaf gates with single-leaf max. length of 3 m (415) and 4 m (415 L). Available with or without Limit Switches. Hydraulic operator for residential swing leaf gates with single-leaf length of 2 m (402 CBC) and 3 m (402 SBS). Hydraulic operator for residential and commercial swing leaf gates with single-leaf length of 2 m (422 CBC) and 3 m (422 SB). Hydraulic operator for commercial and industrial swing-leaf gates with single leaf length of up to 7.00 m.
Underground electro-mechanical operator for residential swing-leaf gates with single-leaf length of 2.5 m and max weight of 500 kg. Low-voltage underground electro-mechanical operator for residential swing-leaf gates with single-leaf length of 2.5 m and max weight of 500 kg. Underground hydraulic operator for residential and commercial swing-leaf gates with single-leaf max. length of 1.8 m (3.5 m with electric lock) with single-leaf max. weight of 800 kg. Low-voltage underground hydraulic operator (24V) for residential and commercial swing-leaf gates with max. length of 4 m and max. weight of 800 kg.